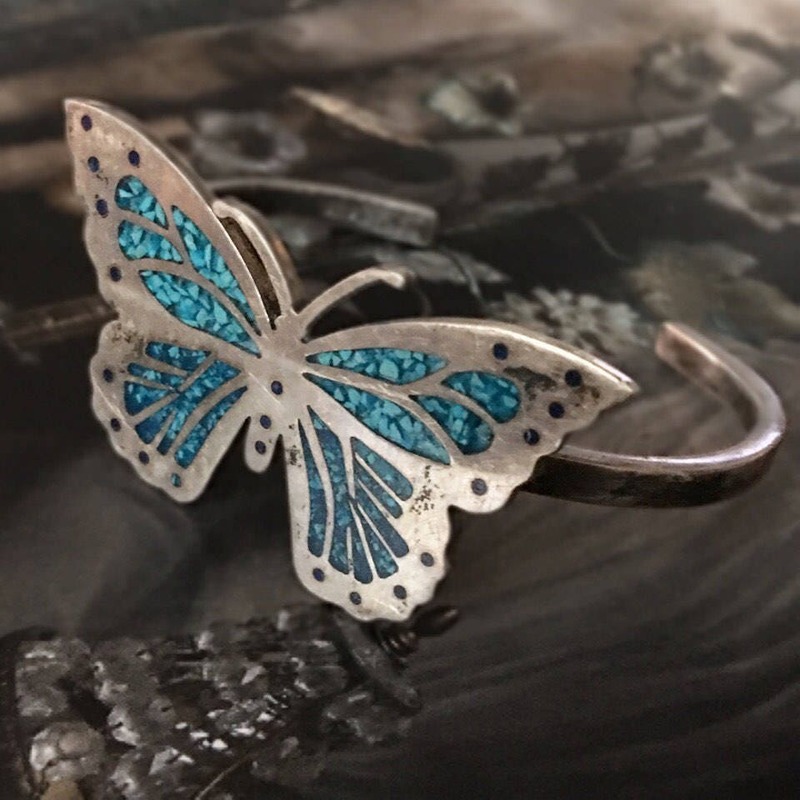 Lovely vintage sterling silver butterfly cuff bracelet is inlaid with turquoise mosaic. 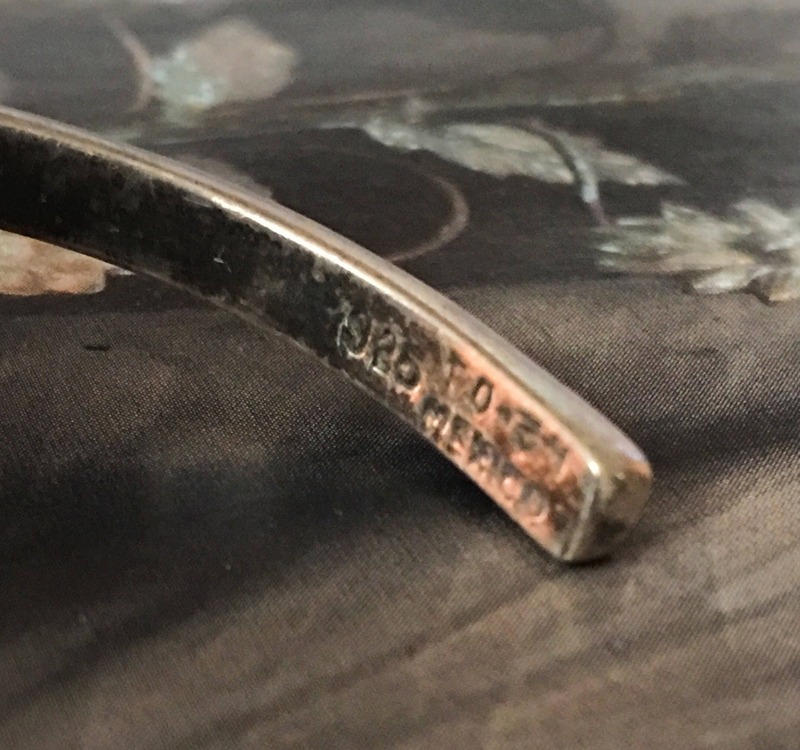 It's marked "Sterling" and "TO-34" (I think). 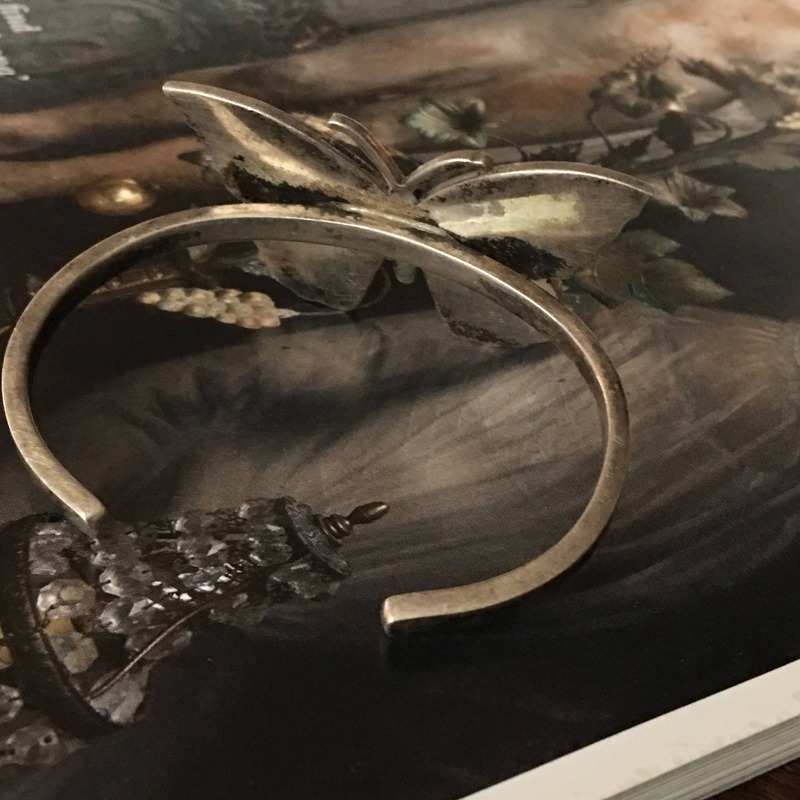 This cool old boho style bracelet is in very good vintage condition, although tarnished (can be cleaned by new owner if desired). 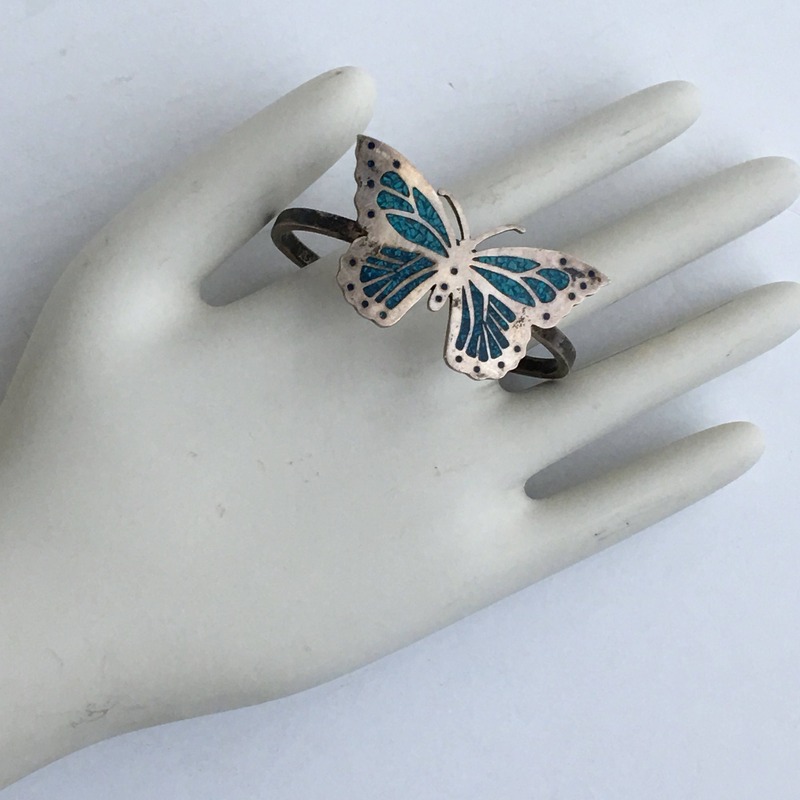 Bracelet is well-made & in good vintage condition; butterfly is approx 2" wide x 1-1/2" tall; bracelet will fit a 7" or smaller wrist. 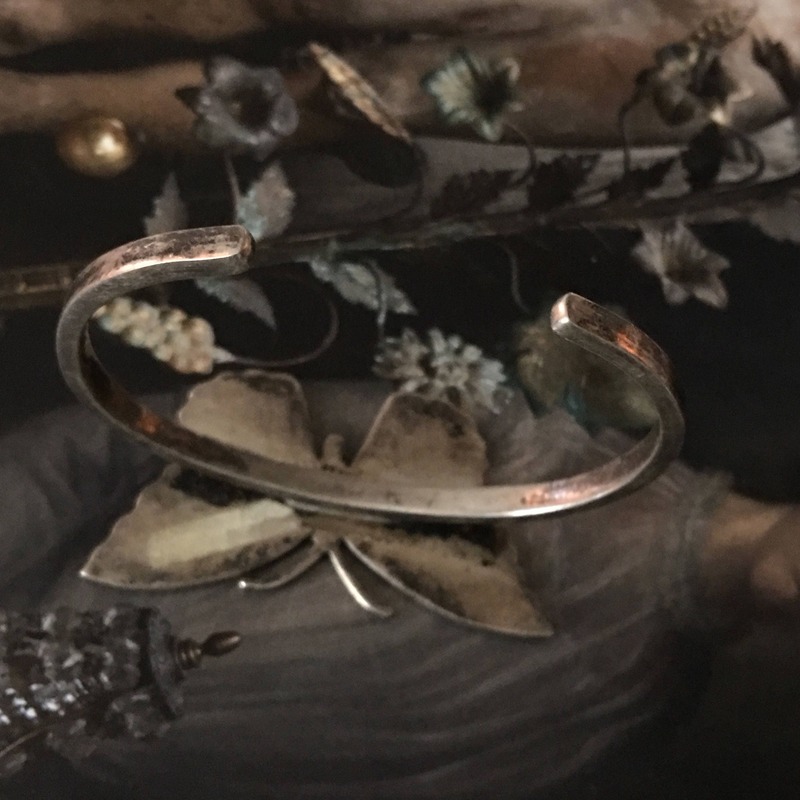 Bracelet weighs 27.7 grams. Circa 1970s. Visit my shop for more beautiful vintage jewelry!